The Coppus Engineering & Equipment Company first appeared on the scene in 1909, when Frans H.C. Coppus introduced the Turbo Undergrate Forced Draft Blower to the market. 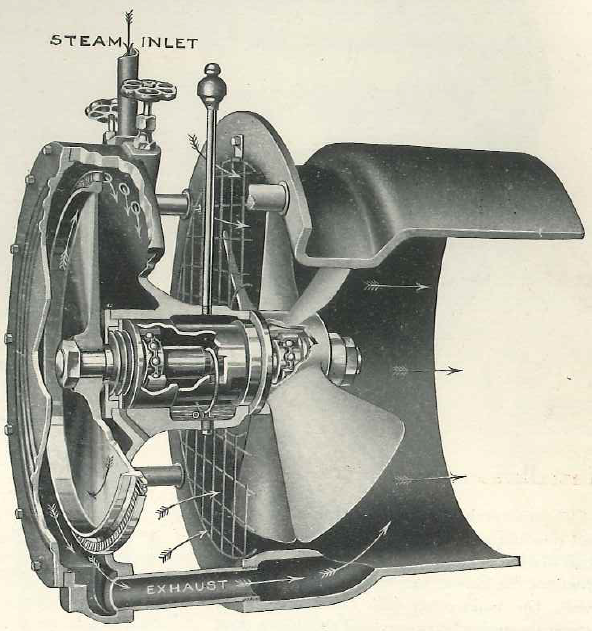 Frans developed his forced draft blower for the sole purpose of increasing the combustion efficiency of low-grade fuels in steam boilers. The years that followed brought steady growth, and with it, the development of many new blowers, steam turbines and rotary burners to meet a wide variety of industrial applications. As a result of the sustained growth, the Coppus Engineering Corporation was formed in January 1923 and the world would soon come to recognize Coppus as an industrial workhorse second to none. Fast forward to today, COPPUS® Portable Ventilators is a standard bearer of safety, performance and reliability, for industrial ventilation products, worldwide. We do so by priding ourselves on meeting the needs of all construction, maintenance, and safety professionals in every industry – especially those within the Oil & Gas, Chemical, Petrochemical, Mineral Mining & Refining, Paper & Pulp, Public Utilities, Manufacturing, Ship-building, Aerospace, Defense, Food & Beverage, and Pharmaceutical industries. Here in the COPPUS® Portable Ventilator group; Honesty, Integrity and Excellence are the values we live and conduct our business by, each and every day. Honesty: Equitable outcomes and straightforward dealings are the basis by which our relationships with customers, suppliers, and business partners were built and continue to grow. This is what makes our work worthwhile. Integrity: Those who understand business know it is a challenging endeavor. Whether the sun shines or the head winds blow, we take pride in remaining true to our values and delivering on yesterday’s promises. This is what sets our business apart. Excellence: Through an unfailing commitment to producing the highest quality products and continuously exceeding our customer’s expectations, we strive to become and remain standard bearers in each of the markets we serve. More importantly, this is the ruler by which we measure our own success each and every day. This is what sets our brand apart; this is what makes it COPPUS®.